Sergey Shipov’s original commentary in Russian can be found here at Crestbook, where you can also play through all the moves and analysis. After my translation of Sergey’s live commentary I’ve also included the video round-up he produced in the evening after the games. Hello, dear spectators! This is Grandmaster Sergey Shipov commentating on the third day of the Candidates Matches Quarterfinals for you. It’s happened all by itself that we’ve been varying the players covered in the live commentary. In three matches the score is still even, but in the Kamsky – Topalov pairing the American has taken the lead. Moreover, he’s the only one of the whole eight who played in an official tournament not long before travelling to Kazan. Gata took part in the US Championship and once more became Champion of that country. So that’s how, it seems, you should prepare for serious battles for the World Championship! Not hiding away in a quiet office, going headlong into computer analysis – but playing, getting into the rhythm, not being afraid of showing yourself in all your glory. In actual fact, such a practical approach to preparation (and recovery) has long been known. In particular, it was used by the 12th World Champion, Anatoly Karpov. He was also capable of playing a tournament before serious matches. And then literally a week after his exhausting confrontations with Kasparov he would enter a new event. That’s easy to explain: the sporting and fighting cast of his nervous system allowed him quickly to switch from one opponent to the next. While playing you forget what you’ve gone through – while playing you can feel confident. And Kamsky’s continuing the tradition of his great predecessor. True, he doesn’t yet have the World Championship title. But if he continues in the same spirit… I don’t think Topalov will postpone his revenge until the final day. Knowing Veselin, I suspect that even playing Black, i.e. today, he’ll play for a win. So our live commentary should be all the more interesting. 1. e4 c5 2. Nf3 d6 3. d4 cxd4 4. Nxd4 Nf6 5. 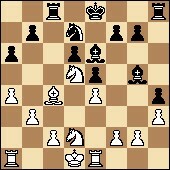 Nc3 a6 The popularity of the Najdorf Variation of the Sicilian Defence in Kazan is remarkable. I admit, I didn’t expect it… The fireproof Petroff and Berlin Wall have been retired. Black’s boldly entering into the midst of the complications! However, that’s normal life for the Bulgarian grandmaster. And the score now obliges him to make a real fight of it. 6. a4 A super-solid move. It’s rarely seen at top level. Topalov changes tack in the opening. 7. Nf3 Withdrawing the knight to f3 is also fashionable at this time of year in Kazan. If you recall, Mamedyarov played in a similar way in his game against Gelfand in the first round. 7…Be7 There’s been a strange pause in the game here. Kamsky has sunk into a long think – which can’t be explained at a distance. The position’s too well-known. 8. Bg5? The question mark isn’t addressed to the chess content of this move (it’s fine), but to the ‘speed’ with which it was played. Kamsky, out of nowhere, has gifted his opponent half an hour in the opening. Besides, he didn’t come up with anything new or in any way original. 8…Be6 While Topalov isn’t afraid to carry out long-prepared moves quickly – without any doubts or unnecessary ceremony. 9. Bxf6 An important idea. The exchange should be carried out before the black knight appears on d7. That’s the only way you can take control of the d5-point. 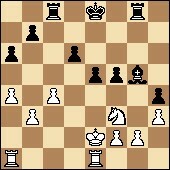 9…Bxf6 True, it’s not clear Black will suffer too much from the fact that someone white will be posted on d5. The knight on d5 is handsome and stately. But Black will looks down on it without any fear, calmly completing development. And in future he’ll probably be able to upset the handsome guy. 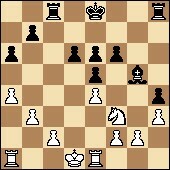 For that he’ll dispatch his knight to b6 or f6 (after Bf6-e7). 11. Bc4 True, the handsome guy isn’t alone in the struggle for d5. 12. b3 The height of fashion! A logical rebuttal – the weakness of the dark squares in the white camp is noticeable. Moreover, it’s a novelty. It’s not hard to guess that the computer supports it with both hands, or rather with all its processors. 13. Qd2 This time Gata played in a business-like manner. If you’re going to spend half an hour thinking over every move then the game’s going to finish before you need it to. 13…Qxd2+ What should you capture with? 14. Nxd2 Here Topalov has started to think for the first time in the game. He’s almost an hour up on the clock: 1:03 – 1:54. There’s no way White can have an edge here. The question’s just whether or not Black will manage to build up an initiative. 14…Bg5 A clear sign there’s an expert on the Chelyabinsk Variation at work. Played by someone not suffering from any complexes. Fresh and unconventional! As I understand it, the king will soon help the pawns on the queenside in their methodical advance. By the way, the king’s rook can also soon come to the square freed up by the king. 15…h5 A wide-ranging approach. There are no insignificant details in a fight. A couple of squares of extra space, a couple of new routes for the pieces – new possibilities for a fight! In particular, in response to h2-h4 the black bishop now has the right to retreat to h6, not restricting its own pawn on h7. 16. Re1 If there’s something Kamsky’s good at (a funny thing to say, you’ll agree, about a man who’s leading Topalov in a match! ), then it’s the ability to coordinate his pieces and systematically improve his position. 16…h4 A logical reply. I think Gata simply doesn’t consider this push dangerous in any way. 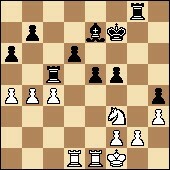 Let’s say, the pawn gets to h3 and White responds g2-g3. And what then? Nothing terrible. Moreover, White in reply can start seizing space on the other side of the board… On the other hand, the pawn on h4 does nevertheless restrict White’s kingside. And if Black manages to carry out the f7-f5 break (for example, after g7-g6 and Ke8-f8-g7) then White will have real problems. In general, there’s something to think about here. There it is, the fruit of Kamsky’s considerations. All of White’s infantry will stand on white squares! I must admit I’ve got doubts about the solidity of his fortress… A gnawing worm of doubt troubles me. White’s position is really very passive, while apart from the f7-f5 plan mentioned there are also manoeuvres with the king’s rook along the sixth rank. The first thing you want to do is prod the pawn weaknesses on g2 and f2. 17…Nf6 And here’s a new idea from Topalov. 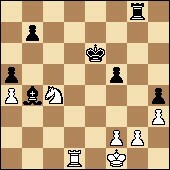 Black is threatening exchanges on d5, after which f7-f5 will follow. What can be done about the d5-knight? Exchanging it on f6 will be met by 18…gxf6!, and then the powerful pawn conglomerate in the centre will give Black a certain edge. Therefore withdrawing to b6 is the obvious move. Of course, an exchange of light-squared bishops would be in White’s interest. Not on e6, though, but c4! 18. Nxf6+ The American Champion goes his own way again. 18…gxf6 Of course! The Bulgarian Champion (true, I’m not sure he’s played in his country’s championship even once in the last N years) reasonably considers that strengthening the centre and opening the g-file are in his favour. Now Black can gradually organise the f6-f5 break and completely eliminate the existence of white pawns in the most important section of the board. There it is. Kamsky’s simplifying play as far as possible. He’s hoping to tame Black’s pawn armada in the centre with c2-c4. But that’s not a panacea… Let’s look at the clocks: 0:41 – 1:18. In general, for a position with so few pieces that’s not a concern. Gata should be in time for everything… Meanwhile, the stage has started to empty. In the Radjabov – Kramnik game a draw has been agreed. I doubt that’s a surprise to anyone. 20…Rg8 Veselin has nothing against an exchange of minor pieces. White won’t rush to do that, though. The fear of losing the h4-pawn doesn’t allow the black bishop to leave its post. 21. c4 An obligatory manoeuvre. You couldn’t allow d6-d5. Now if White manages to make a few generally strengthening moves you can forget about any dreams of a win. 21…f5 Correct. You have to break up the centre. Immediately! 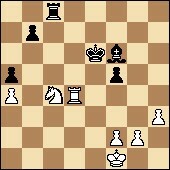 22. exf5 Otherwise you can’t move the king to e2. Black has achieved some success. He’s got advanced pawns in the centre and great freedom of movement. But there are also minuses – the weaknesses on d6 and h4. 23…Be7 The bishop is essential if only in order to support the pawns mentioned. Let the white knight get nervous on f3. The e5-e4 push is always in the air. 24. Kf1 White has actually castled artificially. And essentially he’s just delegated duties sensibly among his pieces. The king defends the g2-pawn and the rooks are free for active operations. 24…Kf7 You’ll agree you shouldn’t rush e5-e4. There’s a time for everything. Black’s still better, but White’s position is solid. 25. Rad1 The rook not only puts pressure on d6, but is also aiming for d5 with the idea of breaking up the black centre with the c4-c5 blow. Black can prevent that idea with Rc8-c5. There’s also the interesting possibility of b7-b5! 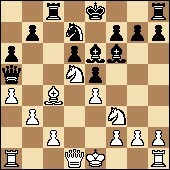 If you can eliminate the pawn on c4, then there’ll be no-one to hold back Black’s pawn wave in the centre. 25…Rc5 Topalov chose the first option. Now the b7-b5 threat is twice as dangerous. It seems as though there isn’t and won’t be a comfortable fortress for White here. Kamsky will have to try his luck in complications. I’ve got in mind the possibility of 26. b4!? Rxc4 (26…Rc7? 27. c5!) 27. Rxe5! and so on. Yes! Gata is going for hand-to-hand combat. He has a very good sense of danger. And he’s always ready for a brawl – if it’s positionally essential. 26…Rxc4 There was nothing to think about here. There was nothing else. 27. Rxe5 The position has rapidly opened up. Black’s hopes for a win lie in the fact that he gets a passed pawn on the queenside. And it could reach its goal with support from the long-range bishop. 28. Nxe5+ Ke6 29. Nxc4 Bxb4 However, even here Black has a pawn edge on the queenside. But will it be enough for victory? That’s not clear. 30. Rb1 a5 There was no choice. Black’s structure isn’t great, but he has the more active pieces. And in particular, the king. There’s still plenty of time: 0:28 – 0:44. 31…Rc8 The ex-World Champion’s reflections were long and fruitless. I think he’ll already have managed to curse himself about ten times for his decision on the 27th move. 32. Rd4 Bc3 An invitation to a banquet. 33. Rxh4 Bf6 34. Rf4 The white rook always finds the one and only saving square. It both survives itself, and supports the knight. 35. Rd4 Correct. Why give yourself additional worries when a draw by repetition suits you perfectly well from a sporting point of view? DRAW. Topalov conducted the game well, had an edge, but at the critical moment he let Kamsky off lightly and allowed him to achieve the desired result. The American is still leading: 2-1. It’s with regret that I note that all the games I commentate on inevitably end in a draw – regardless of the current evaluation of the positions. It seems as though it’s my bad influence having its say… A mental one – from a distance. I’m instilling in the players a desire to be more solid and careful. And, of course, a desire to blunder in won positions! Thank you, spectators, for your attention. With you has been the draw-bearing Grandmaster Sergey Shipov. See you tomorrow! Mamedyarov – Gelfand: The hero of the round was of course Boris Gelfand. At the start of his report (00:38), Shipov shows a photo of the Israeli player with the hat he famously wore when winning the FIDE World Cup in Khanty-Mansiysk to qualify for Kazan. Then after the analysis Shipov says Gelfand’s play was worthy of any of the great chess players of the past. He particularly notes Lev Polugaevsky (on the screen you can see the Russian annotation: “39…Rb8! 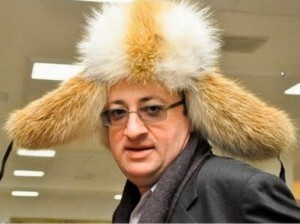 Gelfand is great! 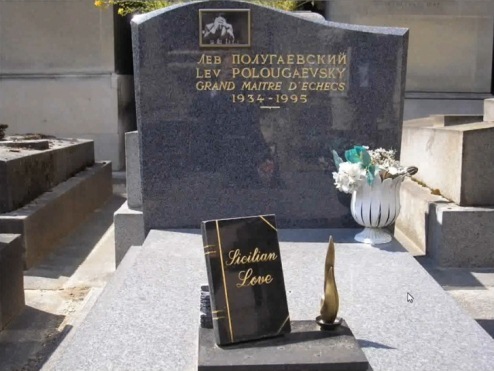 Polugaevsky would be pleased.”) Shipov recently visited Polugaevsky’s grave in Montparnasse in Paris, where you can see Polugaevsky’s book, Sicilian Love. The majority of his commentary on the game is, as befits the Najdorf, made up of concrete variations. Shipov thought the immediate 14. f5, instead of exchanging on c6 first, is relatively harmless, although there are some great predecessors in the line… He felt that on move 17 Mamedyarov was already starting to take a big (conscious) risk to win. With 20. 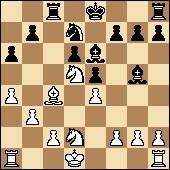 Kh1 White is in trouble, and on move 22 it was already time to try and make a draw from a position of weakness. Shipov thought Mamedyarov might have underestimated 24…a4 and how powerful the pawns would become. For Shipov the rest was just a matter of converting the advantage, though 34…Bg6! (instead of taking more material) was a nice touch. Shipov said Kramnik’s 14…Nf6 was a very strong novelty, though one the computer finds in a second or two. After that, although Black appears to be in danger, there are no problems (or at least Shipov says it would be naive to try and compete with Kramnik’s analysis in a quick round-up). He notes that 23…Rfc8! 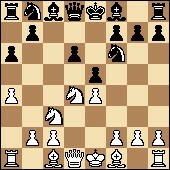 (at 17:17 in the video) was very much the right rook. If 23…Rac8? Black soon ends up mated. Kamsky – Topalov: Sergey felt his live commentary was an adequate summary of the game. Kamsky didn’t get anything out of the opening, “to put it mildly” (after the game Kamsky himself called the opening “terrible”), but Shipov doesn’t feel that Topalov ever had an overwhelming advantage. 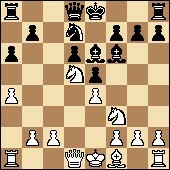 Although… he looks again at the critical moment 27…dxe5?! (at about 23:40 in the video), and says that if Topalov had gone for the natural line he’d have had decent winning chances, which might have cast doubt on Kamsky’s whole approach up to that point. Aronian – Grischuk: Shipov was again impressed by Grischuk’s “phenomenal defensive qualities”, though he notes that in this game things were never as desperate as in game 1. Grischuk had various clear-cut chances to force a draw (28…Nc4! and 37…a3! ), but even in the later stages Black’s drawing resources were great – at about 30:25 Shipov demonstrates how Grischuk could even reach a theoretical draw two pawns down. "Who plays better, Ivanchuk in good form or Carlsen?"